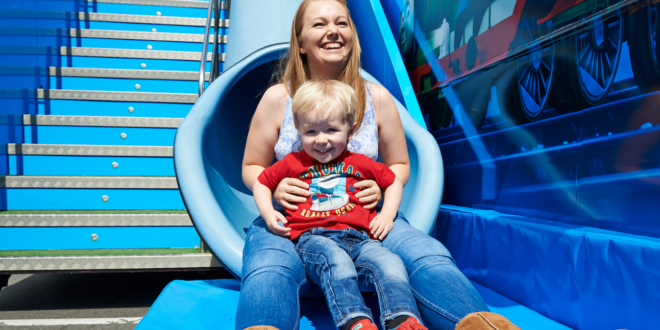 Thomas and Friends is making tracks across the UK this summer with an experiential, inflatable Play Station tour of the country. From Wednesday, July 27th, fans will are being encouraged to join Thomas and Friends in a racing adventure as they work together to complete a range of activities as the touring Play Station visits 2 locations through the summer. Kids can get involved in nine different activities as well as meet Thomas for photo opportunities before heading into the coal pit for a hunt for hidden treasure. Fans will also be able to traverse a maze in search of James and Percy and build their own 3D engine. Meanwhile, motion gesture technology will get little ones moving as they try to reveal the hidden engines images on the screen before taking a walk through Tidmouth Sheds to a merchandise shop. A giant 3D puzzle and a Sodor Steamworks Jungle Gym, home of the Fat Controller, will also feature. 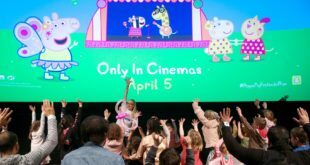 Wendy Hill, brand activation director, Mattel UK, said: “We are very excited to kick off the tour, driving brand engagement this summer. Fans will be able to share pictures of their antics via social media using the #teamthomas for he chance to be featured on the Thomas and Friends Facebook page.